The ‘tin foil hat crowd’ may not be so crazy after all. 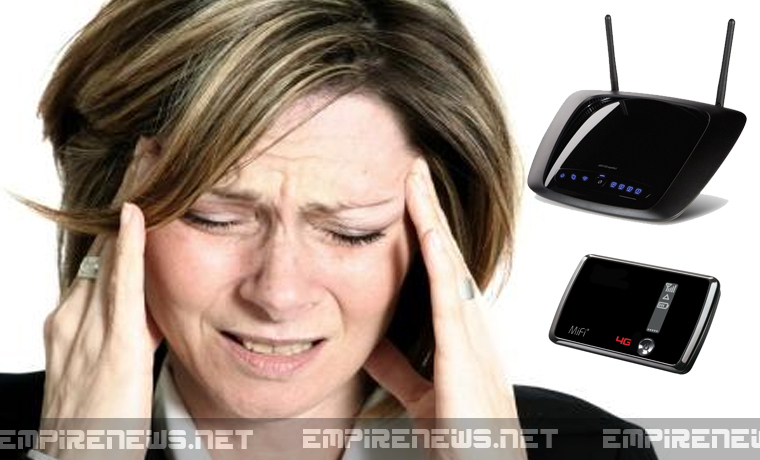 Doctors at Baltimore’s Johns Hopkins School of Medicine have announced today a link between the most common high-speed Wi-Fi bandwidth frequencies and the increase of migraine headaches in people who connect wirelessly. Researchers from the Federal Communications Commission (FCC), working alongside doctors, scientists, and migraine headache specialists, announced the results of a two-year study in which test subjects, 50% of whom were predisposed to migraine headaches, were fitted with portable wireless routers and asked to visit heavily trafficked areas of several metropolitan centers. Half of the participants, or “Human Hot Spots” (HHSs), were sent to coffee shops, public parks, and other venues where Wi-Fi users congregate. The other half were set up in more conventional Wi-Fi settings, designed to mimic average residential homes and apartments in cities and suburbs. For the public participants, tiny sensors were used to measure electrical changes in the brain and were attached to baseball caps and bandanas. The head coverings were used to hide the brain monitoring wires so as not to draw unnecessary attention to the HHSs, thus skewing the results. “The most severe triggers occurred at trendy, neighborhood cafes, with Starbucks coffee shop locations throughout the country triggering the most severe headaches within the test group,” reported study coordinator Dr. Frank Muller of Johns Hopkins. The data entered by the test subjects would then be compared to the corresponding electroencephalographic (EEG) data recorded by the modified headgear attached to their scalps. A control group of patients, also fitted with the same headgear, were placed in assorted settings more resembling a typical household or apartment. These patients reported a next to normal ratio of headache/migraine instances as compared to the publicly exposed test subjects sent to cafes, coffee shops and various artisanal establishments. Whether a new metallic fashion trend is in the making is up for debate. Further evaluation of the Johns Hopkins study by the American Medical Association (AMA) has begun, with the hope that relief can be offered to the 12% of the nation’s population affected by migraine headaches.